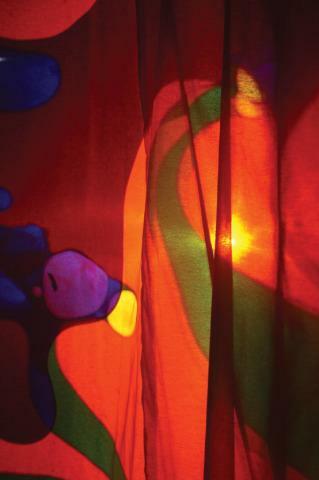 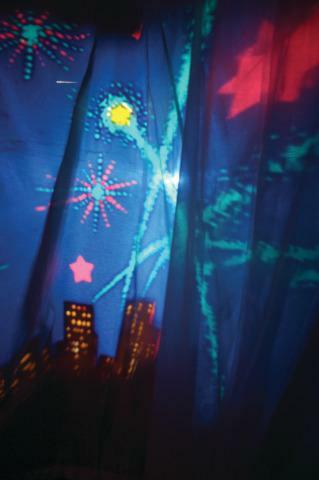 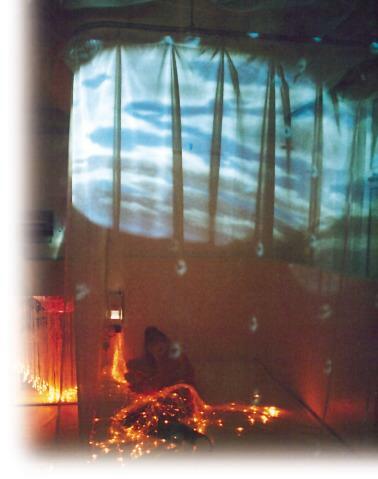 Sheer curtain that allows the projector image to appear on and through the curtain. 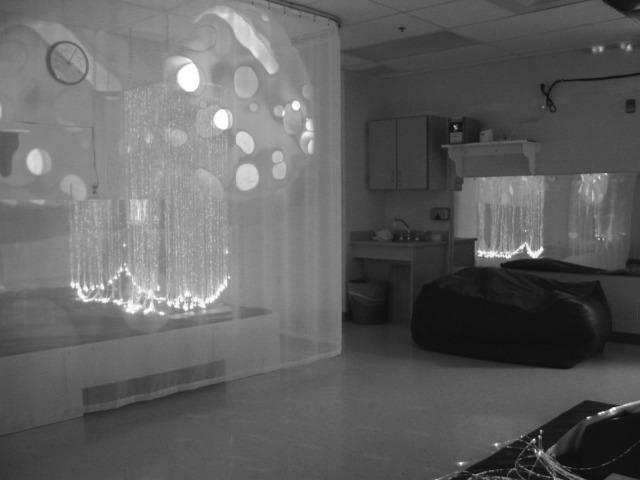 7' tall and 8' wide, the price includes 8' of straight ceiling track. 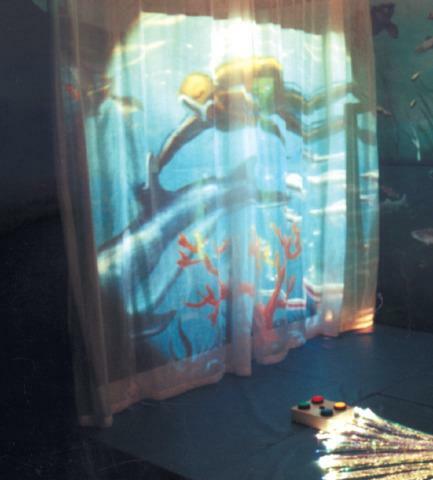 When used with a projector, the curtain allows you to actually touch the images without casting a shadow.